Come spring time, strawberries are everywhere and really cheap here, and with me and my youngest daughter being big fans of these nutrient-packed red gems, we always buy lots of them. We enjoy eating strawberries fresh...but we also love making them into smoothies, jam, ice cream, ice candies, and yummy desserts like strawberry and cream in puff pastry cups and chocolate mousse and strawberry trifle. Lately, we've been making lots of strawberry cookies and strawberry bread too! And guess what? The whole family is loving them! 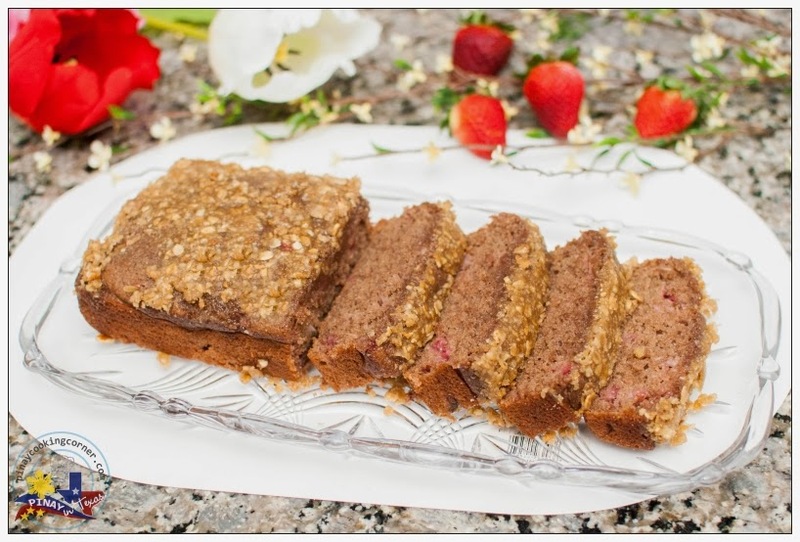 This Whole Wheat Strawberry Bread with Walnut Crumble that I am sharing with you today is my family's new favorite. 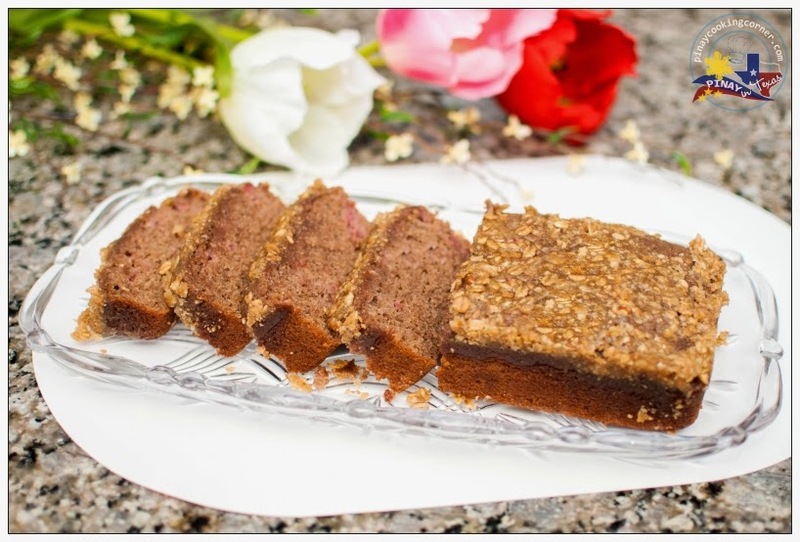 The recipe is very much like that of my Banana Bread, the only difference is that I used whole wheat flour for this instead of bread flour and I substituted vanilla with maple syrup. 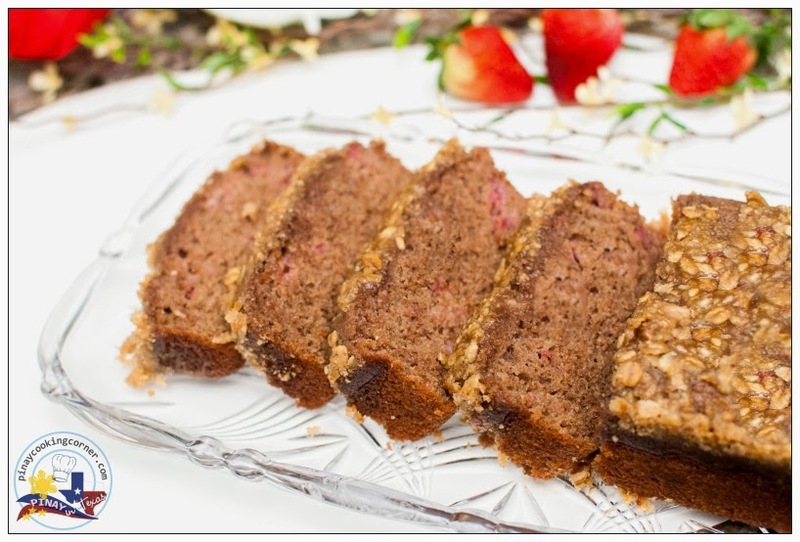 My eldest daughter who always says she hates strawberries is so into this strawberry bread. And the hubs says it's as good as his favorite banana bread. Well, it's so soft, moist and really delicious...no wonder we all love it! It's wonderful hot or cold, for snack or as a dessert and even for breakfast! For the crumble, you can substitute walnut with pecans. You can even use your favorite cereal! 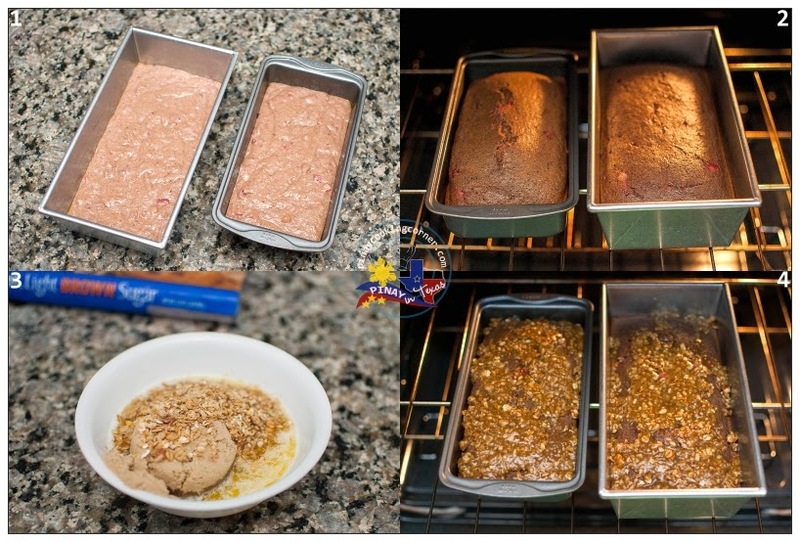 I've tried Cinnamon Toast Crunch, Honey Bunches of Oats with Pecans, and Banana Nut Crunch...and I tell you, the bread always turned out great! Hope you'll try it so you'll know what I'm talking about. 1. Preheat the oven to 350°F. Lightly grease two 4"x8" loaf pans. 2. 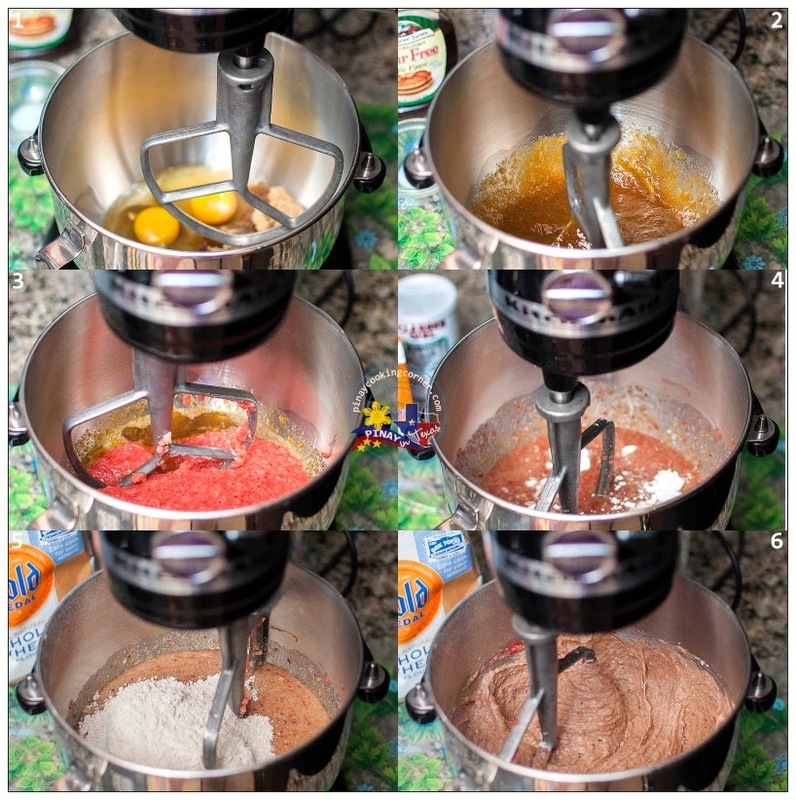 ***I used my stand mixer for this, but if you don't have one, you can just mix it in a bowl using electric mixer or wire whisk or even a wooden spoon/spatula. 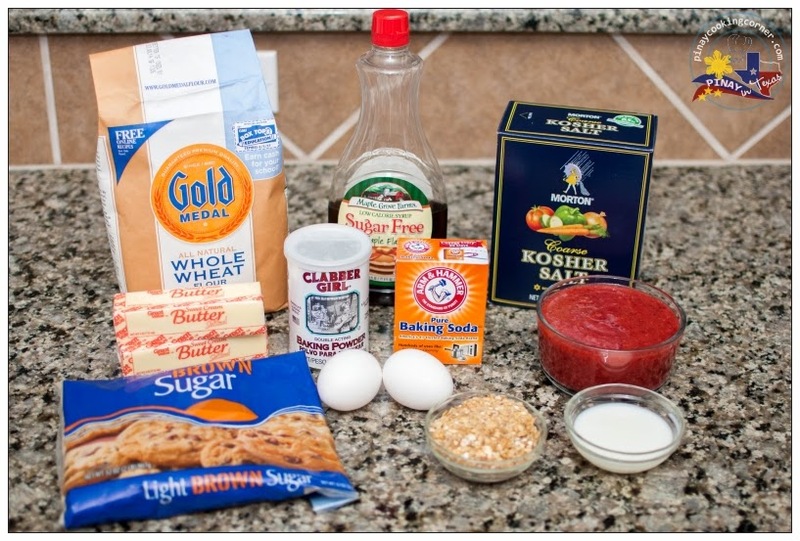 *** In a large bowl, whisk the sugar, egg, maple syrup and milk. Add the strawberry puree and butter. Sprinkle the baking powder and salt over the mixture and mix well. Add the flour last, mix thoroughly. 3. Pour mixture into prepared pans. Bake for 30 mins. Meanwhile, mix the crumble ingredients in a bowl. Pour toppings evenly onto the bread. Bake for another 5 minutes or until inserted toothpick comes out clean. Allow to cool down for 15 minutes. Slice and serve. Lovely color and what a delicious bread! Really nicely done, Tina!